Make sure that you are using the version 1.00.5 of the patch! Otherwise you will not be able to connect with everyone else who is playing on the correct version of the patch. You can check the version of your installation by going to "options" in the patch launcher. Update 1.00.5 should resolve the issues that were encountered in 1.00.4 and strengthen further the anti-cheat mechanisms. To update to version 1.00.5 just run the updater or download it directly from this post. 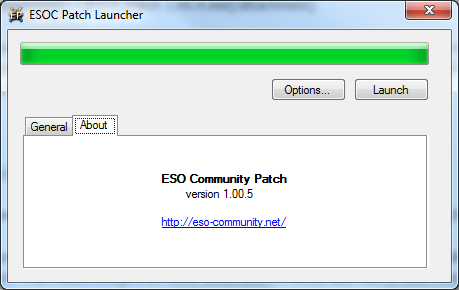 Note that even if you have any old version installed, the current launcher will detect that and uninstall the obsolete version of the patch. This makes things a bit more streamlined. I would also like to note that from this point onward, no more games will be played on RE for Strong World. If you continue to have technical difficulties, please send me a PM, but don't play out the match on the RE patch. 1. Uninstall patch via control panel. 3. Delete age3f.exe and ESOCP1.dll, ESOCP2.dll, and ESOCP3.dll. 4. Reinstall the new patch. Last edited by iCourt on 15 Mar 2016, 06:02, edited 1 time in total. Reason: No longer up to date. No need to be stickied. patch launcher doesn't load autmoatically. Just saying. This update doesn't work for me. My windows version can't accept 64bit i think. Damnit, it's obbligatory to update the patch? iNcog wrote: What do you mean? Marco1698 wrote: This update doesn't work for me. My windows version can't accept 64bit i think. Damnit, it's obbligatory to update the patch? try to run compatility problems sometimes it fixes it. go to the folder Age of Empires 3 it usually still exists even after the uninstall, there are a few files left. Delete them manually. Reinstall aoe3 and reinistall patch, it should work then. This is good advice, but first please try simply uninstalling EP and installing 1.00.3! Are you still using windows xp? Because that version is not supported by microsoft anymore so its unsafe to use it lol. Hi Marco, just reuploaded a new installer that should (hopefully) work on 32-bit. Made a little mistake when smoothing out some issues in the installer, give this one a try. Hi, I'm Adrian, what about a Pach for vanilla and war chiefs? I bought the pack with those ones, but I don't have Asian Dynasties. Are you thinking about it or would you definetly recommend me to buy a second hand Asian Dynasties game? pecholobo wrote: would you definetly recommend me to buy a second hand Asian Dynasties game? musketeer925 wrote: Hi Marco, just reuploaded a new installer that should (hopefully) work on 32-bit. Made a little mistake when smoothing out some issues in the installer, give this one a try. It works perfectly with 32 bit system too. You need to manually update this one. The launcher will never work for this update. That is due to the moving to make this site go live. So the auto update in version 1.00.2 is disconnected from our site. In 1.00.3 it is reconnected and I do not see anymore manual updates needed!